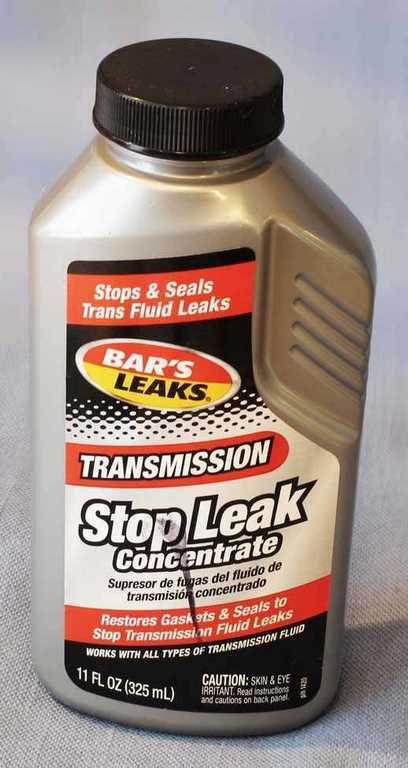 Automatic transmission sealant works to stop slow gas leaks in CO2 guns. Is the airgun I fixed still holding gas? This is a fun little report that I just happened to do, partly by accident. On August 28, 2013 I published a report titled Neat fix for bulk-fill CO2 guns. In that report I mentioned that Dennis Quackenbush had told me about a way to fix some slow-leaking CO2 pistols, using automatic transmission sealant. He puts it into the gas port on the gun, then blows it in when the gun is charged with gas. I reported trying it on a bulk-fill gun of my own and it worked. Immediately the comments started about how this sealant works by swelling the seals or turning them into a soft mushy mess, and that eventually the seals will fail if you use it. In a comment, I actually reported about 6 months later that the gun I had resealed this way was still working and holding gas, but that only started the warnings all over again. It has been nearly 2 years 5 months since I wrote that report, and last week a reader asked me about fixing a slow leak in a CO2 guns so I told him about it. When he responded that he was going to be cautious because he didn’t know what the ATF sealant might do to the seals, I thought it was time for this report! I told him I had been soaking the o-rings in sealant for 4 years, but it turns of that was not correct. It was 2 years 5 months. My plan was to soak some common o-rings in the sealant for about 4 months and see what happened. I put some sealant fluid in a jar and dropped in a couple o-rings. And then I left them! I never got around to writing that report until now — 2 years and 5 months later. The o-rings have been soaking in the sealant continuously since I put them in! 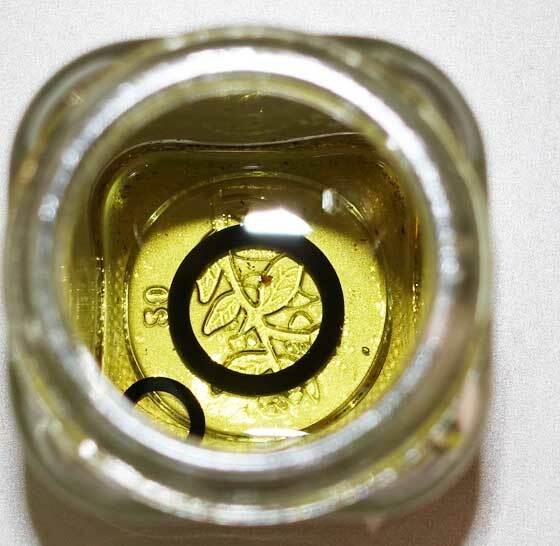 Two common Buna o-rings have been immersed in automatic transmission fluid sealant for 2 years five months without any swelling. The o-rings are not soft or brittle. They still have the same flexibility as when they went into the fluid. I would love to be able to tell you that the Crosman 116 .22-caliber bulk-fill pistol I fixed this way was still holding gas. But it isn’t. I tried it when I began writing this report. It held gas for months but not for years. I also took a leaking Crosman 150 and added some ATF sealant when I started writing this report. This is a pistol that uses a 12-gram cartridge. The fluid sealed the gun immediately and it was still shooting and holding 24 hours later. I cannot hear a leak of any kind. I’d like to point out that over the years this test has been running I have advised several blog readers with leaking gas guns to try this. Some have and I have received several reports of it working fine. I have also fixed several other of my own cartridge gas guns (12-gram) this way. So I’m not just telling you the sealant doesn’t hurt the seals — I’m also telling you this really works to seal leaking gas guns — regardless of whether they use cartridges or are bulk-filled. This doesn’t work on guns that have fast leaks. If you can hear the gas leaking out when you charge the pistol, this isn’t going to work. It works on guns that take 24 hours or more to leak down. It works immediately upon application. Since the seals do not have to soften or swell for it to work, it takes no time at all to seal the leak. If the leak isn’t sealed right away, it’s probably never going to work. This stuff works better than Crosman Pellgunoil for stopping slow leaks. I would still advise using Pellgunoil in the beginning for as long as you can, though, as it contains an o-ring conditioner that I’m not sure the transmission stop leak has. Use Pellgunoil first and when it doesn’t work, use this stuff. I have tried this stuff on multi-pump pneumatics without success. My testing wasn’t very scientific, I just tried it in a couple old leakers, but there is nothing to report. That’s it for this report. 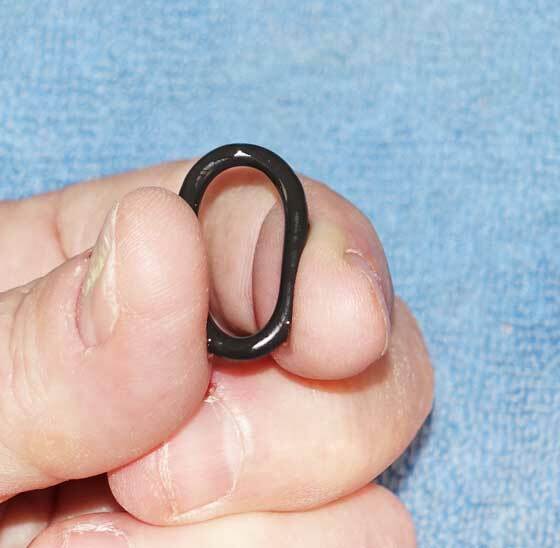 I just thought I’d put an end to the conversation about what this stuff does to airgun seals. I doesn’t do anything except stop slow leaks.